Nice and interesting design. Good job! However, you might also add some conservative themes, suitable for business (serious and esteemed companies like classic design). The bold graphic design, colors and shapes are really eye-popping. It reinforces how much graphic design is such an integral component of building a website. I could really use a home improvement type layout as one of my businesses caters to home construction and home improvement. However, this layout and colour scheme is virtually the opposite of what my clients would prefer or even what I would choose for them. It’s very, very busy and the colours are more reminiscent of summer camp or daycare than home improvement. I look forward to more great layouts in the future. I have used some of the current layouts with a great deal of success. I understand where you are coming from. Hopefully you can tweak one of our other layouts to fit your needs. One look at my website and you know I am a huge fan of this colorful look, but I have to agree with Laurie. 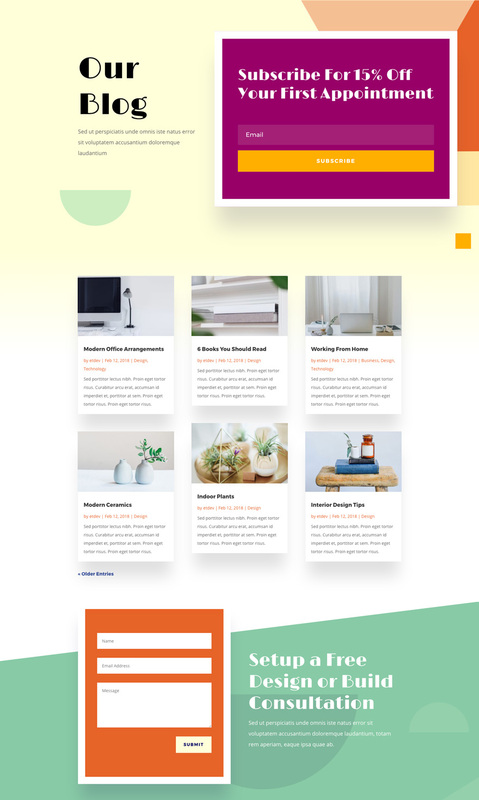 Interior design and home improvement businesses prefer a clean, uncluttered site that showcases their work, not yours. Great design concept, but maybe wrong for this particular application. Nice theme, i like it.. 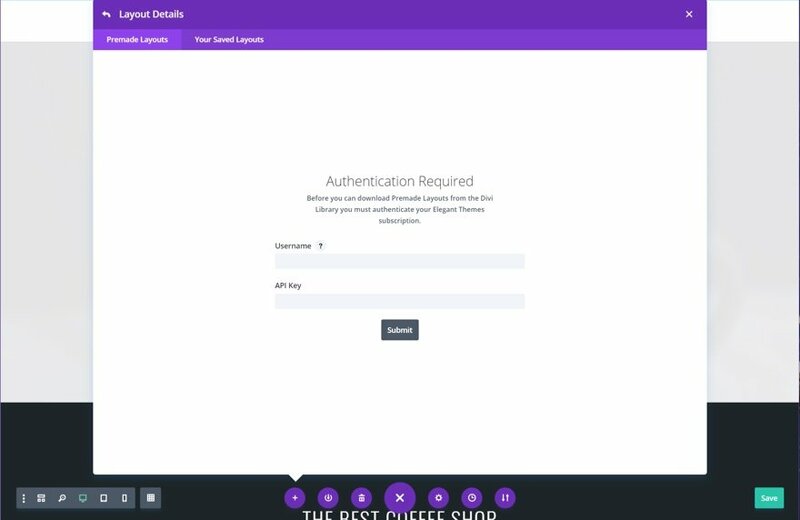 Joined divi builder nation + subscribed to the Youtube channel + logged in….. BUT cannot seem to be able to download the layout packs. I can however downl;oad the media pack. 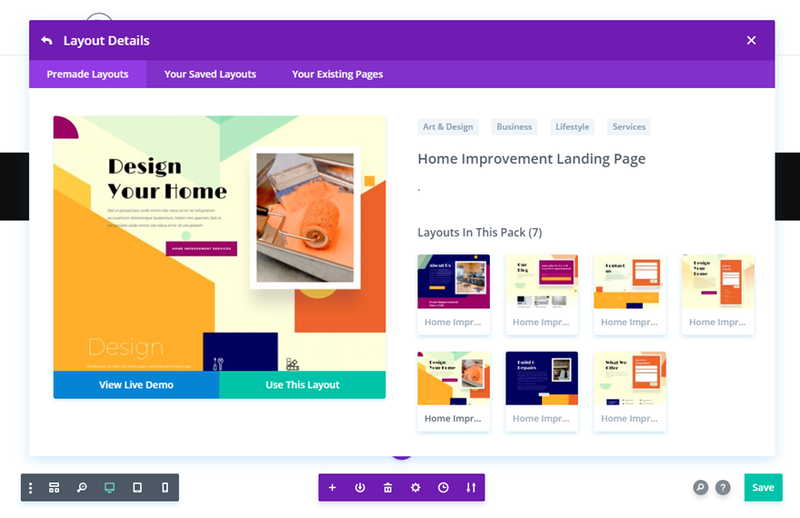 All of our layout packs are available from within the Divi Builder. You can watch the video on this post to find out how to access it. One of the most engaging sites you’ve released. Amazing work guys! The bold graphic design, colors and shapes are really eye-popping.Nice and interesting design. wow… this is perfect for what I was looking for. Thank you! I just have a question, I will be doing some personalization and changing some images. I’m new at this, where can I find the size of the images so I can switch them for ones that fit my project better (last time I tried it, it was a mess)? Or should I just go to the gallery and see it there?